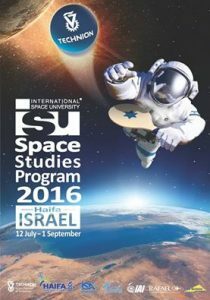 The International Space University’s upcoming Space Studies Program (SSP16) is arriving in Israel for the first time and will be convened at the Technion, starting July 2016. 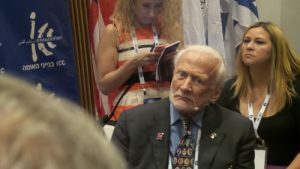 The guest of honor of this year’s program is Dr. Buzz Aldrin, one of the 12 men who walked on the moon, and one of the most important figures in the promotion of the program of a manned flight to Mars. 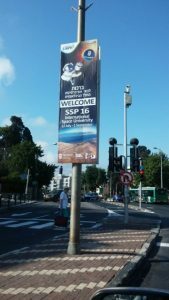 The SSP16 will include public events, such as: the Israel Space panel, an international panel of astronauts, an evening lecture by the astronaut Prof. Jeff Hoffman, a panel discussion on the human aspect of the Columbia space shuttle mission and more. This prestigious 8-week program will offer its participants an extensive, unique and professional experience, covering all aspects of space programs and initiatives and will include aspects such as space science, space engineering, policy, economics and law, space management, space applications and human performance in space. Participants in the program are carefully selected from the standpoint that these would be the future leaders in the space field. Indeed, many graduates of the SSP hold senior positions in the global space industry. Each year, Israel’s Ministry of Science, Technology and Space offers scholarships for those interested in participating in the program (the Ramon Scholarship) and this year, as it is every year, the Faculty of Aerospace Engineering will be well represented by graduates who have received scholarships and been selected to participate in the program. The organizer of this year’s program is the Technion Asher Space Research Institute, headed by Prof. Pini Gurfil from the Faculty of Aerospace Engineering.